What is Injection Molding ? Injection Molding is a method to obtain molded products by injecting plastic materials molten by heat into a mold, and then cooling and solidifying them. The method is suitable for the mass production of products with complicated shapes, and takes a large part in the area of plastic processing. The process of injection molding is divided into 6 major steps as shown below. The process is proceeded as shown above and products can be made successively by repeating the cycle. 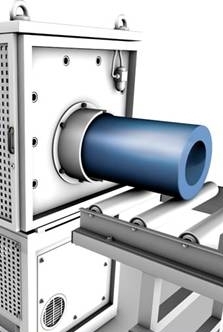 What is Blow Molding ? Blow molding is a superior molding method by which hollow articles such as bottles and pipes can easily be produced. As common articles, PET bottles are produced by blow molding. 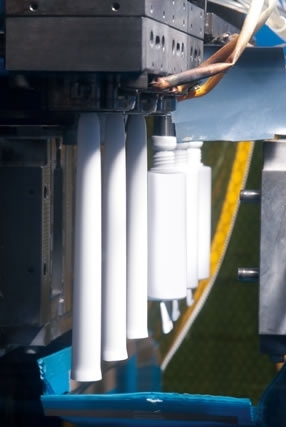 An overview of blow molding is shown below. First, molten resin is extruded from a die in a tubular form with an extruder. This molten resin in a tubular form is called a parison. This parison is pinched by a mold and air is blown into the parison to press it against the mold. The mold is controlled at a constant temperature. 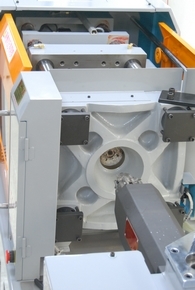 After pressing and solidification for a given period of time, a blow molding can be obtained. Extrusion molding, or extrusion molding, is the molding of plastic or metals into a pre-defined shape. During the process, metal or plastic is melted and pushed through a die to create a linear form. The final shape, commonly called a rod, although it is not necessarily cylindrical, is then cooled and can then be cut to various lengths, depending upon the application.